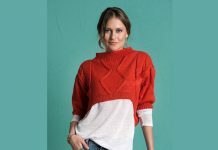 We chose a great cropped sweater design for women. This model is easy but has a pretty eye catching design. You do not need a lot of experience to knit this pattern, you just need a little consideration. 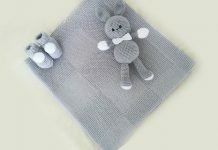 We have listed the materials for the knitting pattern. 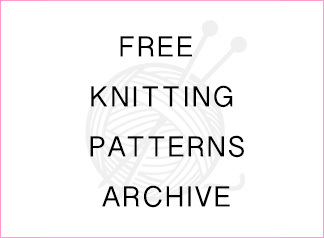 We recommend number 5 needle and pure wool yarn. You can try the products of different brands. I am expecting to my blog for pattern related questions. 1- Starting from a sleeve, work together with body pieces. Cast on 60 stitches w/ yarn no. 2378. Work 12 cm of 1+1 rib, and switch to knit stitch. 2- Increase 6 x 1 stitches at both ends at every 13 rows to obtain 86 stitches. 3- When knit length is 30 cm, start working all the stitches as 4+2 rib. 4- Center the stitches on the same row and start working 4 stitches each at both sides of 50-stitches in the center w/ yarn no. 268. 5-When body length is 47 cm, increase 36 stitches each at both ends for front and back pieces to obtain 158 stitches. 6- Continue working after setting the stitches as; 8 stitches w/ yarn no. 2378, 4 stitches w/ yarn no. 268, 14 stitches w/ yarn no. 2378, 4 stitches w/ yarn no. 6592, 20 stitches w/ yarn no. 2378, 4 stitches w/ yarn no. 268, 50 stitches w/ yarn no. 2378, 4 stitches w/ yarn no. 268, 20 stitches w/ yarn no. 2378, 4 stitches w/ yarn no. 6592, 14 stitches w/ yarn no. 2378, 4 stitches w/ yarn no. 268, 8 stitches w/ yarn no. 2378. 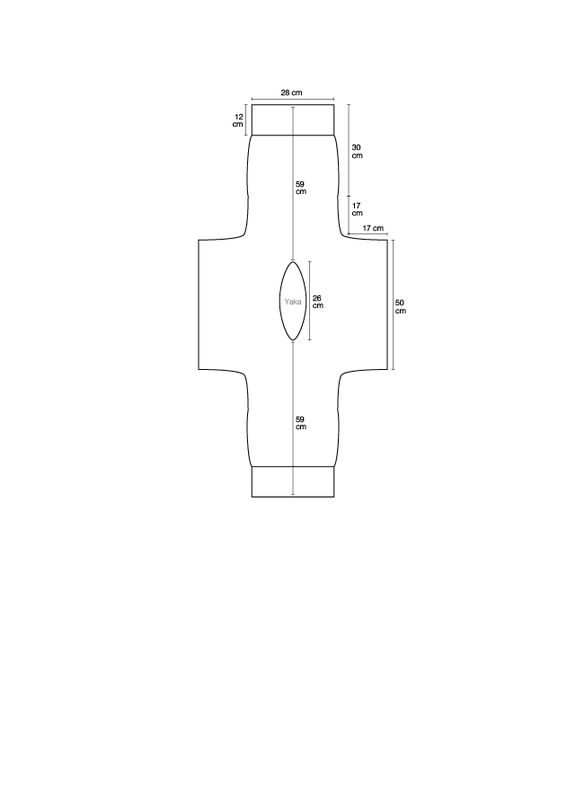 7- When body length is 59 cm, divide the stitches as 79+79 for neck opening and continue working as two pieces. 8- Work the neck openings for front and back pieces in the same way. Work 4 cm at the neck side; decrease 8 x 1 stitches on every row, and after working 2 cm, make increases symmetrically. 9- When collar height is 26 cm, transfer all the stitches onto the one needle and finish after making symmetrical increases after collar is completed. This is a great tip pattern to those fresh to the blogosphere. Short but very pattern features… Thank you for sharing this pattern and charts. A must read source!